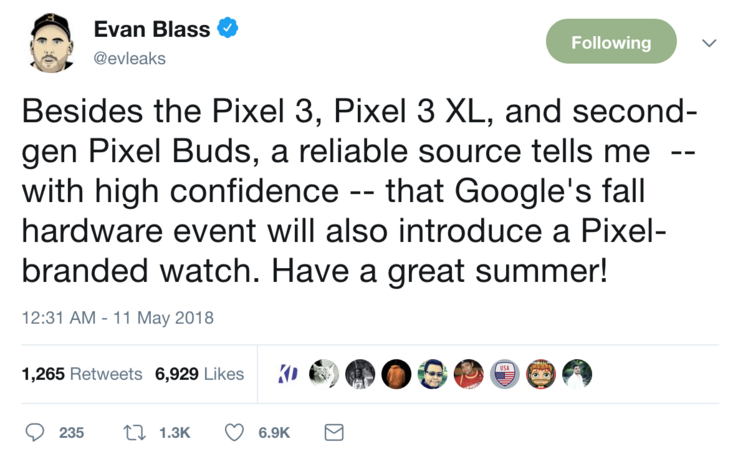 Serial leaker Evan Blass tips that Google will be launching a brand new smartwatch alongside the next-generation Pixel 3 range. Although Google has been developing Wear OS (formerly known as Android Wear), over the past few years, this will be the first smartwatch launched under Google's own Pixel brand. All previous smartwatches running its operating system have come from its partners. 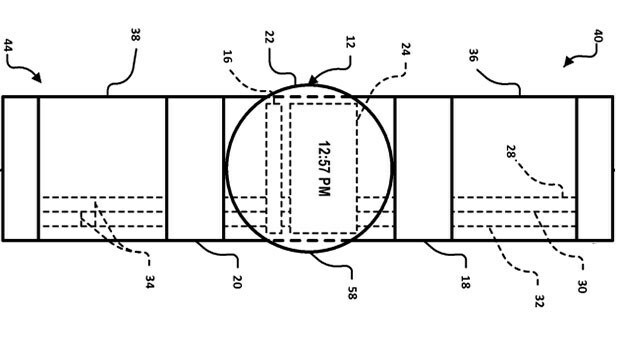 Google has previously applied for numerous smartwatch patents, and like the competition, health and health monitoring has been a feature of the applications. The timing of the launch will likely coincide with the launch of Wear OS 3.0 that, like Android P, is currently in beta. It will also coincide with Qualcomm's next-generation smartwatch platform that is set to replace its ageing Snapdragon 2100 platform built on an ancient 26nm process. To that extent, it should offer much better performance and battery life moving to an up-to-date node. The "Pixel Watch" will debut alongside the Pixel 3, Pixel 3 XL and another rumored mid-range Pixel 3 device. These will be the first devices to come out of its all-new smartphone division that it acquired from HTC last year. HTC was already responsible for making the original Pixel, Pixel XL and Pixel 2. With Google's in-house operating system Fuchsia currently in development, as well as custom silicon, the company is gearing up to take on Apple with a full head of steam.